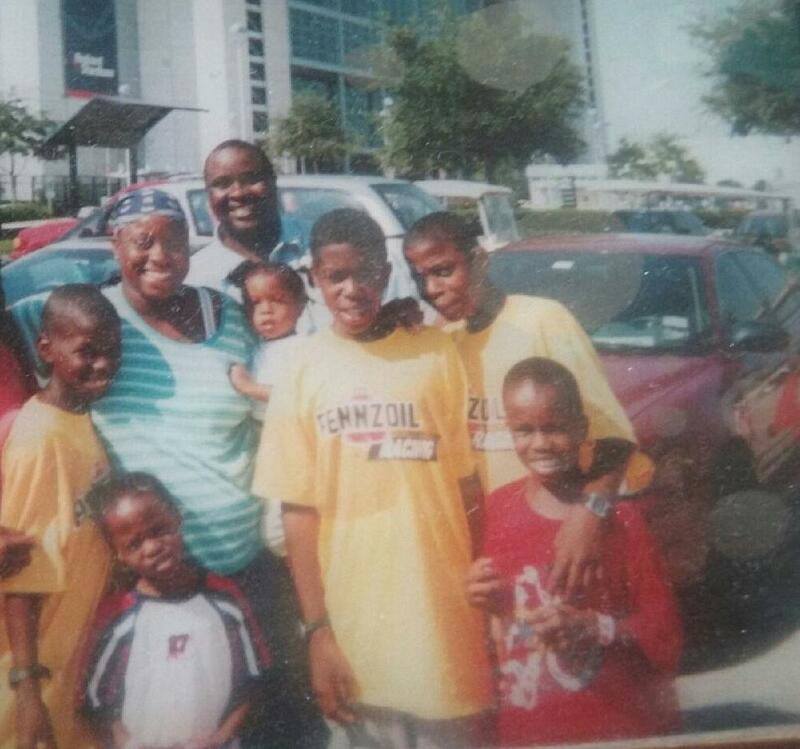 Nathaniel Scott, Sheldon Scott, Charlene McGraw, Bernard McGraw, Kelly Scott, Ray Scott, Fredrick Scott and Delvin Scott preparing to leave Houston, Texas, to travel to San Antonio. Photo taken by Althea Smith, a volunteer who helped the McGraw/Scott family. Palo Alto’s students recall the life-changing events caused by Hurricane Katrina in their hometown of New Orleans, Louisiana, in 2005, that forced them to seek refuge and begin a new life in San Antonio. “We walked 30 minutes to the Super Dome and stood for three days waiting to leave the city,” said Nathaniel Scott, a sophomore Business major. He and his family were forced to leave their home behind. Scott was a few days into the fourth grade, but school was cancelled with the approach of Katrina. Scott was ecstatic over the unexpected holiday, although he did not anticipate the impact it would have on his life. 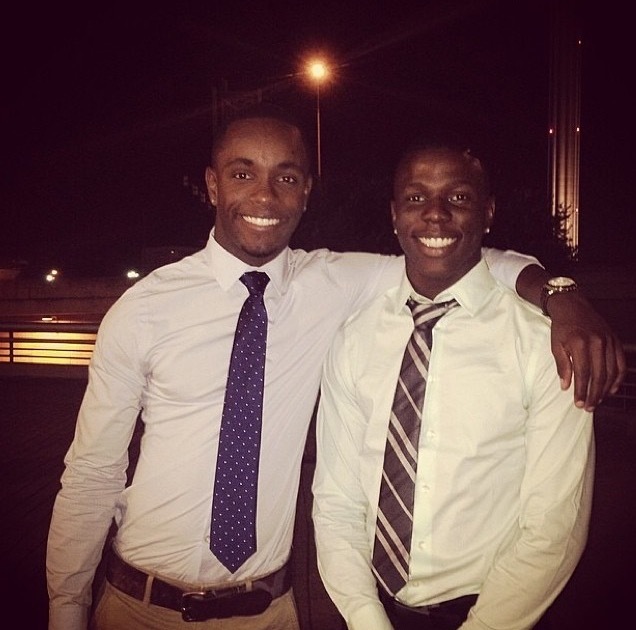 Kendal Williams and Nathaniel Scott at Nathaniel’s high school graduation in June 2014. Both now attend Palo Alto College. Trevor Kennedy, a tutor in the Math Lab, watched Katrina unveil from his television. He left New Orleans three weeks prior to Katrina for a job opportunity in New Mexico, but his family stayed behind. Climate change is causing the ocean’s temperatures to rise, making hurricanes and other tropical storms much stronger and longer. We witnessed this again with Hurricane Gustav (2008), Hurricane Sandy (2012) and the recent Hurricane Joaquin (2015). While going through multiple cities in the state of Texas, Scott ended up in San Antonio with no intention of returning home. The Alamo City has offered him sports and music opportunities that he would not have had in New Orleans. William’s family went back to New Orleans, although his cousin Nathaniel Scott and his family continue to reside here. “I don’t know who I would be today if I were still over there… probably a savage,” said Williams. Scott has gone back to New Orleans a few times to visit, but he prefers to be in San Antonio. His family continues to carry their culture to San Antonio with Creole cooking and Jazz music. “Everyone says refugees, but we are survivors,” said Charlene McGraw, mother of Nathaniel Scott and aunt to Kendal Williams.